A mod to enhance (more) our SF-2 immersion, to use mostly in our custom campaigns. 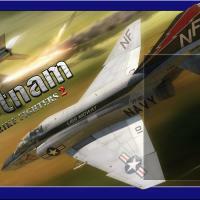 Decals, Skins, Userlists, Data.ini, Cockpits and Planes tailored for Nam use. 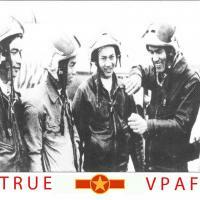 So I took the real numbers and made the correct serial for EVERY known VPAF plane. You’ll find the Ace’s name who flown each aircraft, if known, beside his number, too. I worked on the userlists to allow the program to use in VietnamSea theatre a VPAF and not a Soviet Skin. Kill marks added. This new version add several planes (see list below) and brand new / skins. Each model has canopy animation enabled and dedicated sound. A new main screen and an old (but good) icon inside. This mod is set to work on a full merged vanilla install or on a SF2V Eburger68 great enhanced install, but the “real” J-5A “Fresco-D” added in this pack needs to delete his previous J-5A and J-5 folder and edit all campaigns (see optional folder). Mig-15 UTI VPAF (1 Skins 16 numbers), Cambodia (1 Skin 2 numbers), PLAAF (2 Skin 12 numbers). Stary's Pit. Mig-15 bis VPAF (1 Skins 7 numbers), Stary's Pit. Mig-17 VPAF (2 skins 20 numbers), Pure fighter plane. Stary's Pit. Mig-17F VPAF (9 skins 178 numbers), Cambodia (1 skin 7 numbers). Pure Fighter plane. Stary's Pit. Mig-17PF VPAF (1 skin 10 numbers). Stary's Pit. Mig-19S VPAF (1 skin 60 numbers). Stary's Pit. Mig-19SF VPAF (1 skin 60 numbers). Stary's Pit. Mig-21F VPAF (2 Skins 30 numbers). Mig-21PFV (or better PFL) VPAF (1 Skins 30 numbers). Mig-21PFM VPAF (5 Skins* 111 numbers), Laos (1 Skin 23 numbers). Mig-21MF VPAF (1 Skins 60 numbers). Mig-21bis VPAF (2 Skins* 42 numbers), Cambodia (1 Skin 19 numbers), Laos (1 Skin 23 numbers). Il-28 VPAF (3 Skins 12 numbers), Stary's Pit.